• Better Looking - Face it, frameless shower doors look great. 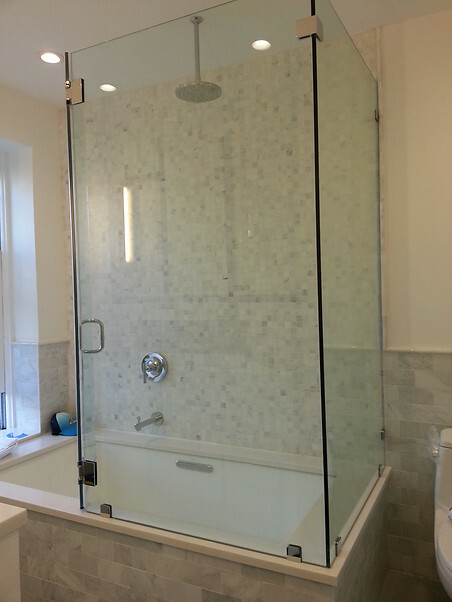 It's a simple slab of thick tempered glass that pivots smoothly from the shower wall or a glass shower enclosure. • Thicker Glass - Because frameless shower doors do not have the structural benefit of metal framing, the glass must be thicker. 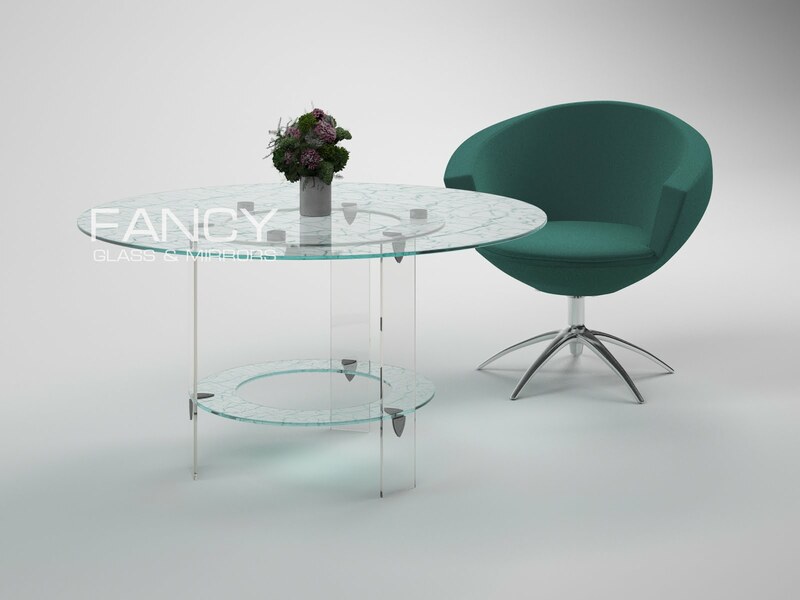 Glass is typically about a quarter-inch thick. • Heavy - A 72" x 36" frameless door may weigh as much as 70 pounds. Compare to a framed shower door, which may weigh about 45-50 pounds. • Easier to Clean - Solid sheet of glass has no framing to impede cleaning. • Difficult to Install - Because of the frameless door's excessive weight, care must be taken to ensure that it is securely installed--a task often best left to professionals. • Left or Right Opening - Most frameless doors have the option of hinges being installed on either side--but don't assume so. Check the specs.